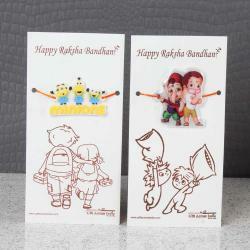 Rakhi is a grand festival, which is celebrated to share a bond of love between the brothers and sisters. It is one of the ancient festivals which is still followed with the same heritage and importance in modern days. 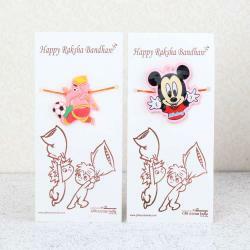 Here the Doraemon with Modi and Nobita Rakhi for Kids, will be the best option for little siblings, and it is designed with the some attractive cartoons to ensure that the kids enjoy the festivals in the best way. 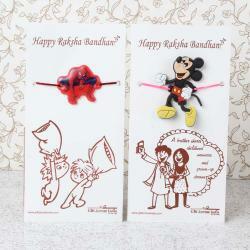 The online store unfolds a number of the stylish and attractive rakhis for the children to order online. Hence, you can present and share strength and excitement between sister and brother. Now it is available to place an order online and get the gift combo delivered on the same day itself. 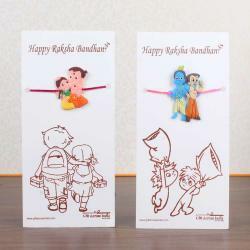 Product Consists: Doraemon with Modi and Nobita Rakhi for Kids nicely tied on a Designer Card.